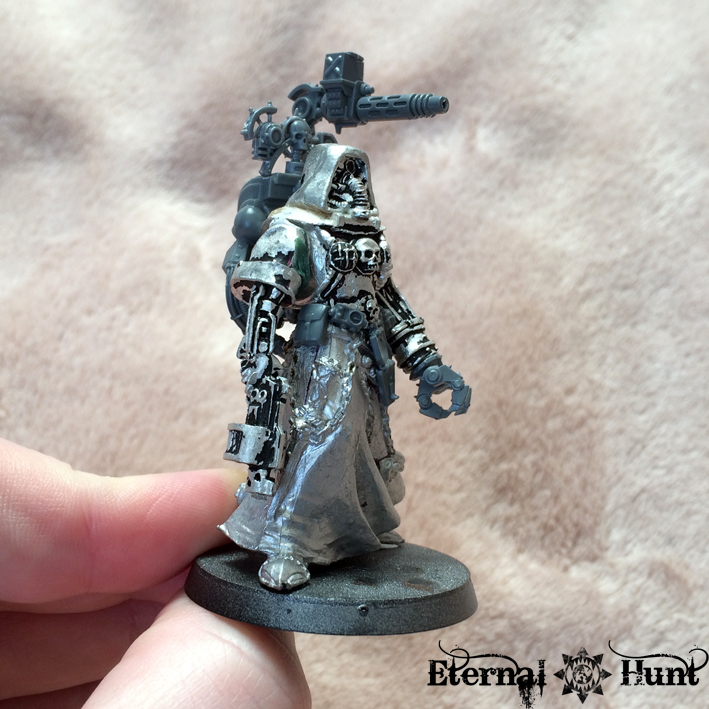 This entry was posted on January 15, 2019 at 14:00 and is filed under 40k, Chaos, Conversions, Inquisitor, Pointless ramblings, state of the hunt, Terrain, WIP, World Eaters with tags 54mm, adeptus mechanicus, aquila lander, conversion, daemon, daemon engine, delphan gruss, inquisitor, inquisitor 54, khorne, kitbash, magos, shuttle, soulgrinder, tech-priest, terrain, world eaters. You can follow any responses to this entry through the RSS 2.0 feed. You can leave a response, or trackback from your own site. I know, right? So cool that those legs fit though mate, like destiny or something! Oh I do like some nice terrain. 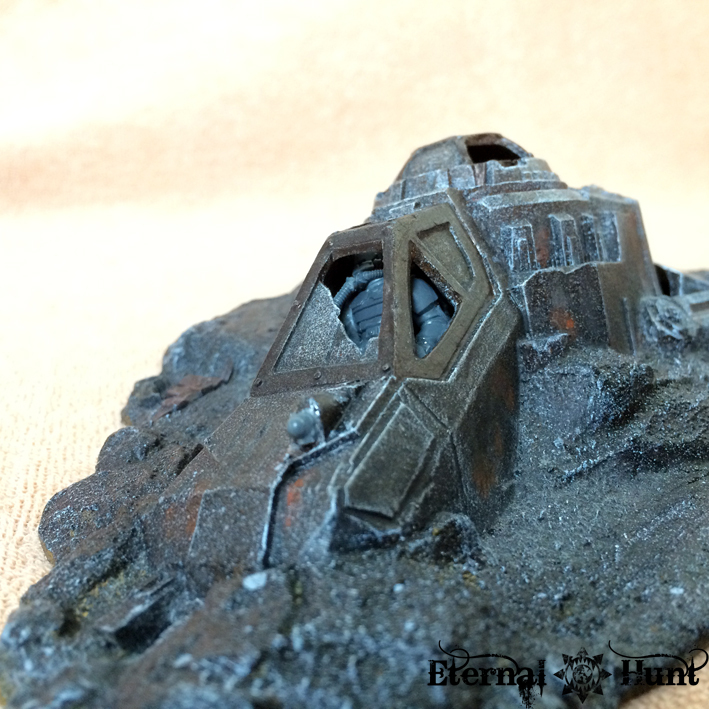 I often feel like terrain is the ‘forgotten man’ when it comes to the hobby so I’m excited to see how it turns out for you. Thanks for pointing out Azazel’s blog. Somehow I’ve never come across it before and in an age of declining bloggers it’s good to see another entertaining blog. Very cool! Liking the cyber-demon. Are you going to do a part 3 of the awards? I really like your industry review bit, and it would be a shame if there isn’t one. I don’t mind waiting- I can imagine how much work it must take! Cheers, Jamessy — Cyber-Demon, indeed — gives off a bit of a Doom-vibe, doesn’t it? As for a third part of the awards, I am afraid it won’t be happening: GW’s frantic pace of releases makes such an endeavour even more taxing that it used to be, and given the fact that it usually takes me several hours to put together a post like that, I feel it’s just not worth it — or rather, I would rather use the energy to talk about stuff I am actually working on. Sorry! That’s cool! So long as you’re posting, I’m happy! Seriously, keep it up! 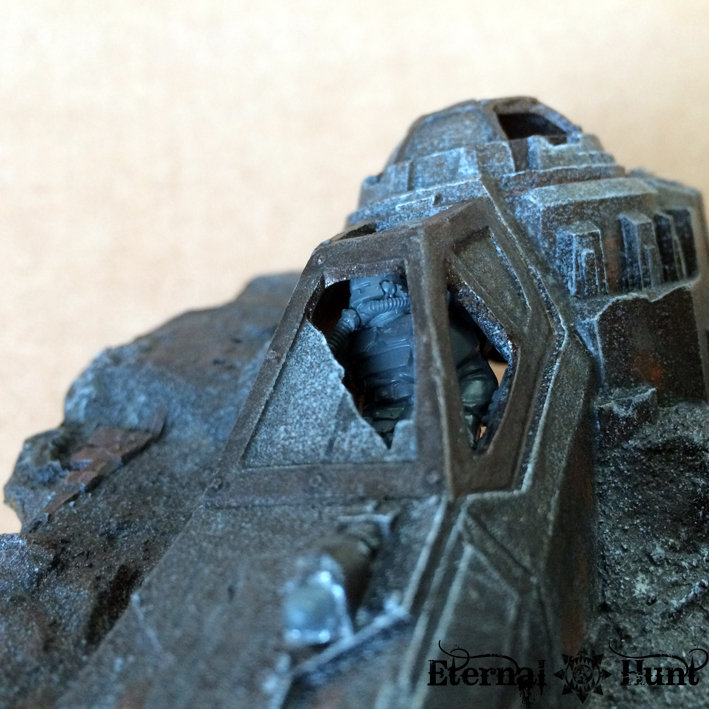 Great rescue job on the big techpriest! Very resourceful. Super conversion work on his packpack as well. Thanks, ssspectre! 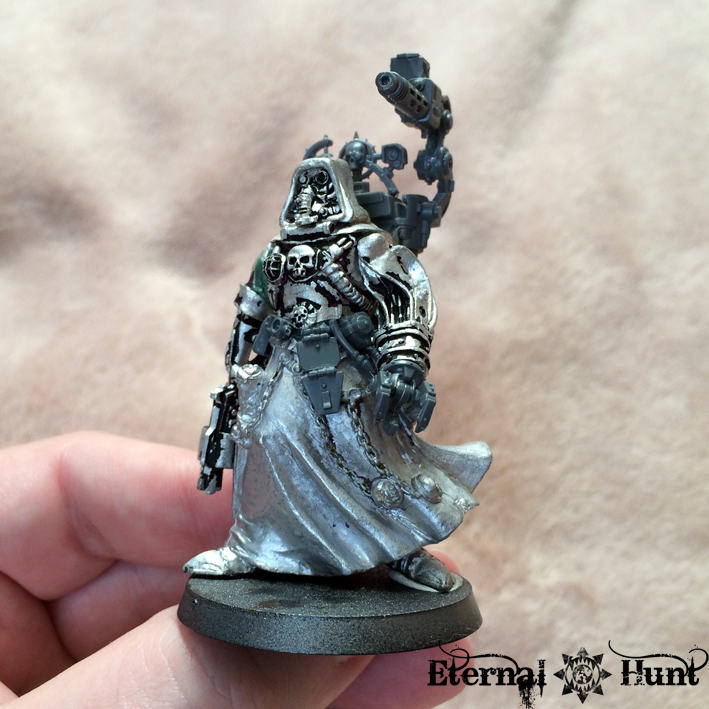 I am rather fond of the salvaged Tech-Priest, too! Awesomeness! Love the updated Aquilla Lander wreckage, that adds a ton of personality to it. The updated Delphan Gruss is inspired as well – Great work, man! 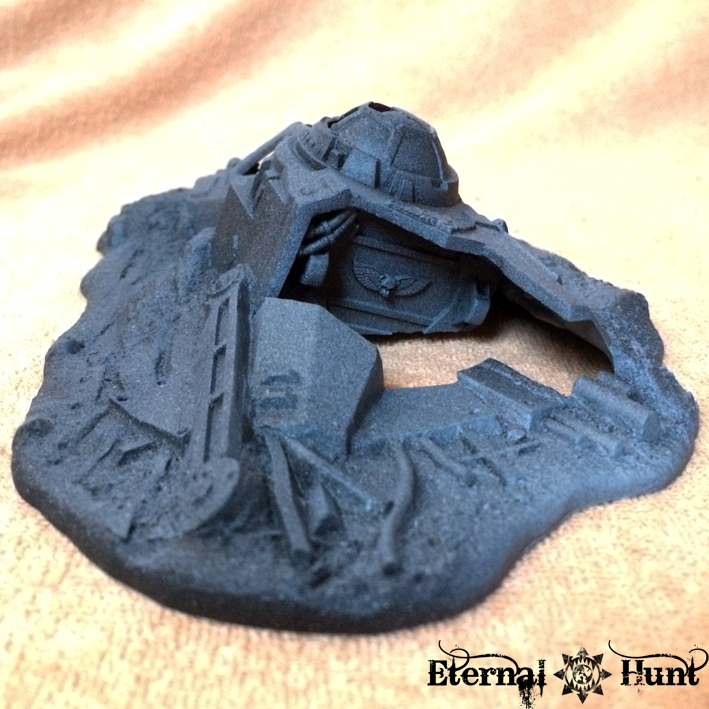 I think if I have time working on my Ad Mech Terrain I will try to do my Aquilla lander as well, it’s half painted so I don’t think it will take much. That’s quite a cool idea with those soulgrinder parts but i can tell it needs refining… hmm do really like it though, I think the claw hand needs to be differentiated from the feet somehow, they look to similar and it looks like they were only chosen in a “that’ll do” style choice based on an absence of better parts… But I quite like the feet… They look like talons like that. Maybe pop some wings on it, lose the arms on it and make it like a counts as heldrake? Or upright as it is, pop some wings on and make a daemon prince? I feel like there is so much potential for this, it looked like a really fun project. Any thoughts on what kind of unit you might like it to be? Cheers, mate! Huh, I actually rather like the fact that the leg and arm claws resemble one another: The Soulgrinder fluff describes machines from the soulforge as sometimes weird and awkward amalgamations of daemon and machine, and I think the tortured look of the Soulgrinder body really lends itself well to a somewhat rough looking creature. The design will be refined, though, so have no fear. No wings, though — that would be a bridge too far, I think. As for its potential use on the table, I have to admit that such questions don’t really much concern me any more, although there could be some pretty obvious uses: A Maulerfiend? A counts-as Armiger? It certainly has the size! Cool, really looking forward to seeing this develope then. I only thought wings because of the “taloned” look of the feet. 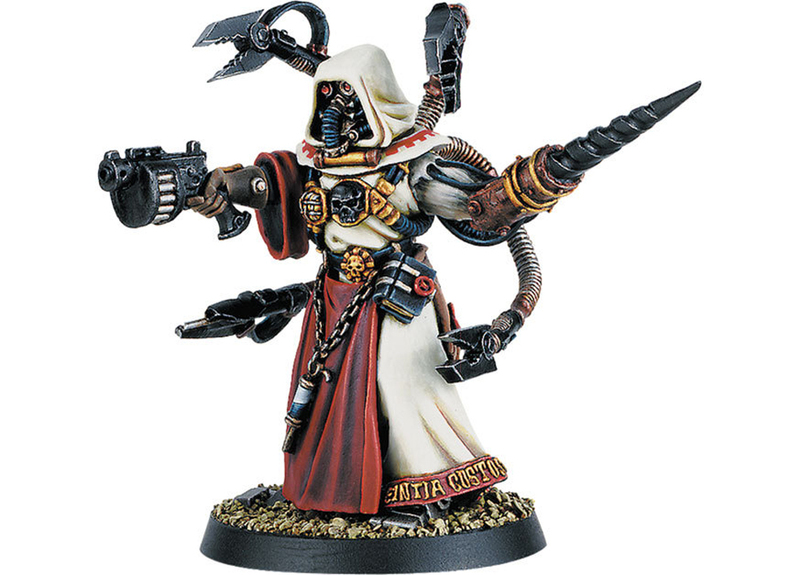 I like the idea of making it look ungainly and Awkward… Is it Duskraider’s Admech that had all those little watch parts? 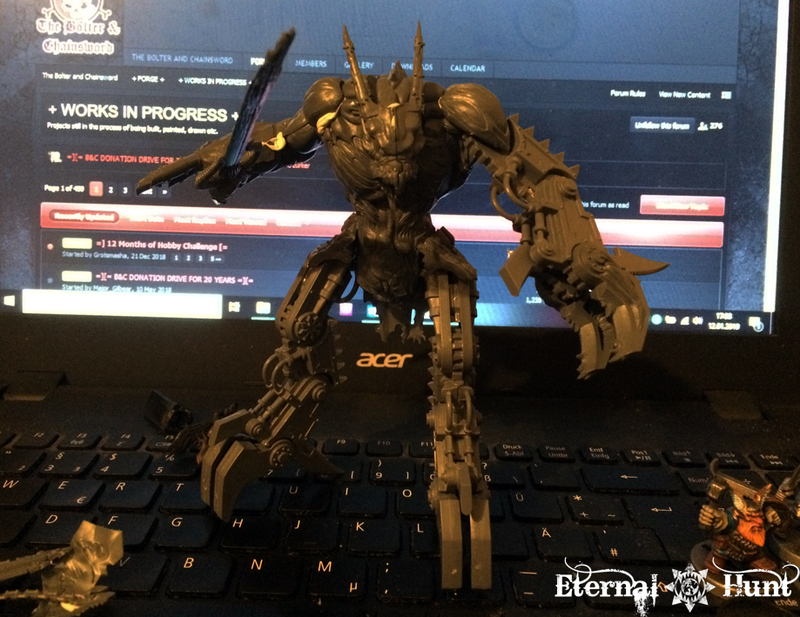 One huge Decimator arm? That looks very cool and very awkward. An eclectic mix of projects! 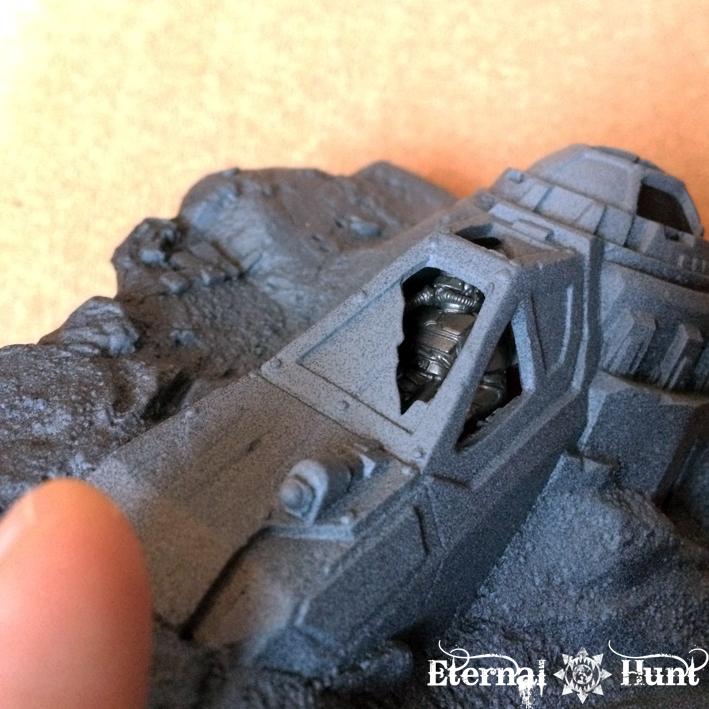 The crashed Aquilla is an interesting piece of kit. It feels like a crashed craft would have more of its contents strewn about. 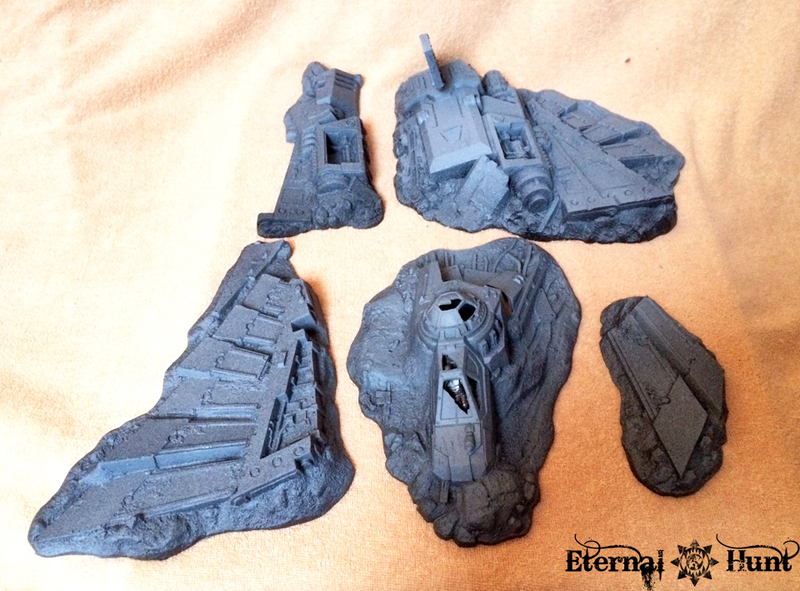 I actually thought about that, but decided to leave the design relatively uncluttered, so as to keep it more modular: The beauty of it is that I can always put a crate or two of some sort into that torn open hold, just as mission objectives or narrative setup demand. 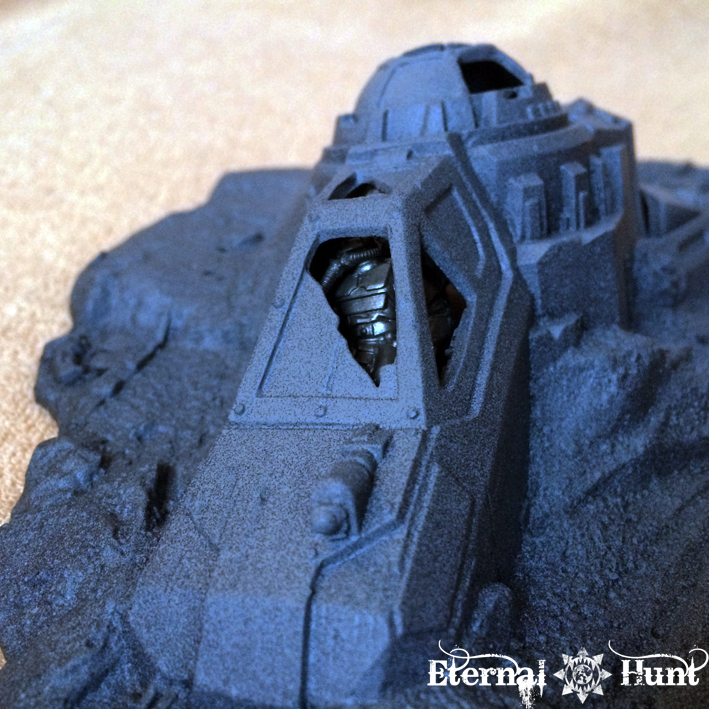 I’ve got that lander in my queue for this month – yes, after so many years as well! Now you’ve gone and made me have to look for some bits to seal up the back, and maybe find a pilot as well. Damn you KS! Always raising the bar! Hahah. 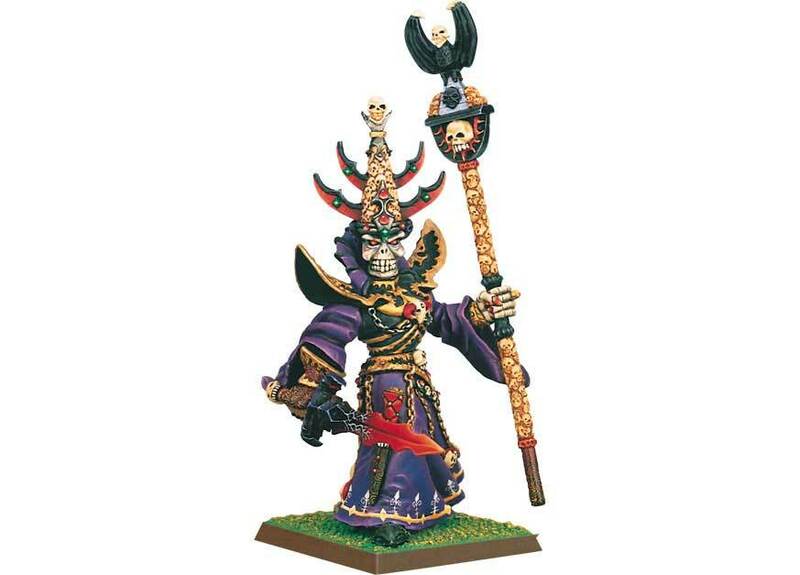 Once I’ve killed off the last of the Neglected Models, the hope is that I’ll have more freedom for new release models (like that AoS Starter set with Khorne vs Stormcast), conversions, and the like. Besides, a lot of that scatter is dead easy to do. Some of it is a lot more of a pain in the backside, though. …on that note I need to crop my pics and get a post up! I follow your blog for a couple of months now. This is such a great place for getting inspired and motivated, learning new things or just see the awesomeness of your projects and work. I love your blog! It’s the complete package of stuff, fluff, tutorials, information and thoughts which keeps me interested and wait eagerly for the next article! I quit the hobby about 13 years (or so) ago (3rd Edition 40K followed by a few years of converting and kitbashing). 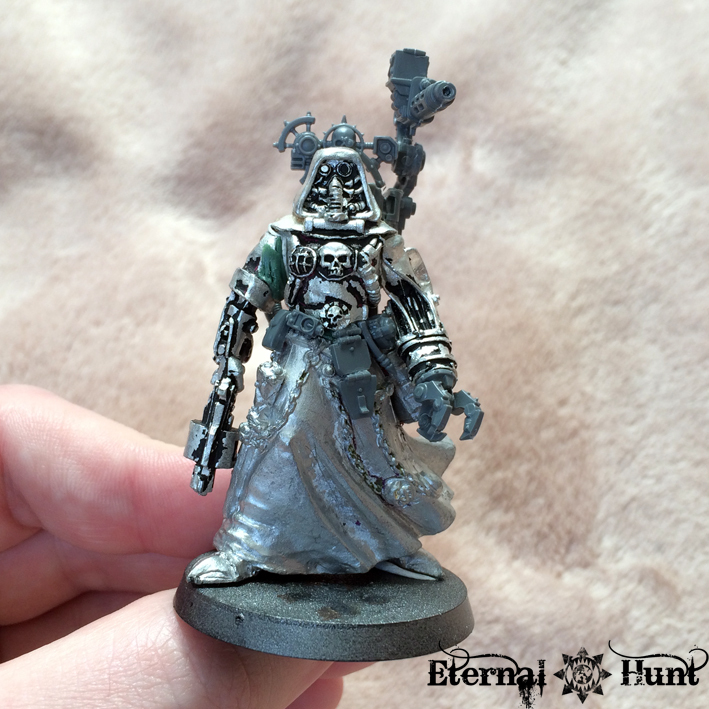 Some day last year I just stumbled over your and Wilhelminiatures blog and thought – yeah! This brought back my burning ambition I once had for this hobby. For that I just want to say thank you! I started my own blog a just a few days ago. Just want to share my stuff. If you want to take a look I would really appreciate that. Greetings from a small village near the realms of cologne! Hey KS, following your blog for a while now… okay, actually a whole lot of time, i’m more a silent reader kind of consumer…. 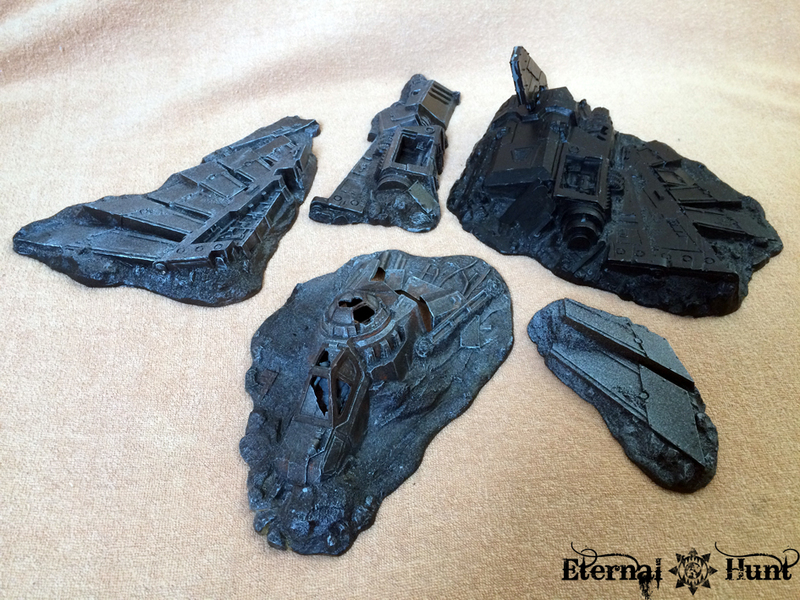 I really like that aquila terrain and what you did with it! Saving the magos and the new style is quite awesome I even like this more than the original one (never liked that drill….). 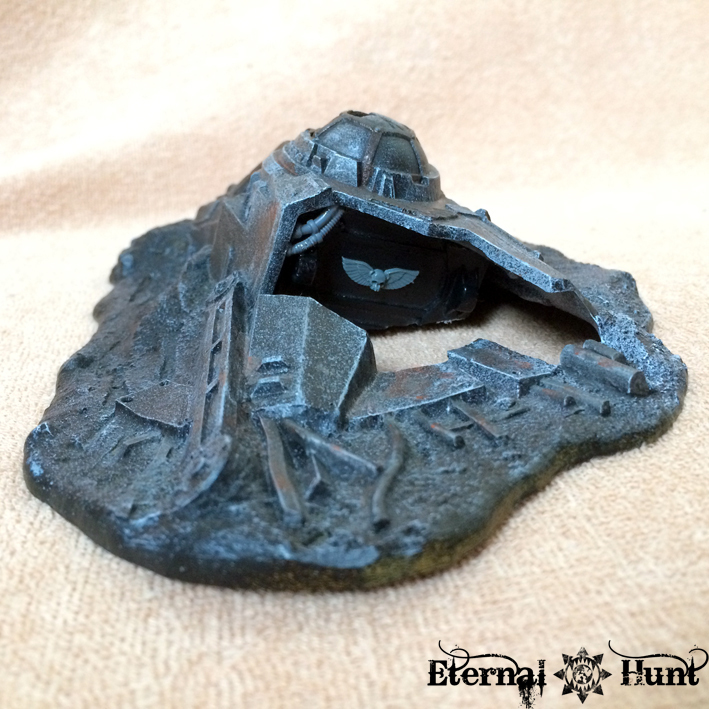 For me, a single 54mm-model would be relativly useless, but I guess it was fun, and so will be the painting. That demon is great, that would make a perfect daemon prince of the iron warriors I think. Keep up the good work and the blogging! Looking forward to that demon taking shape! Re: the tech priest. 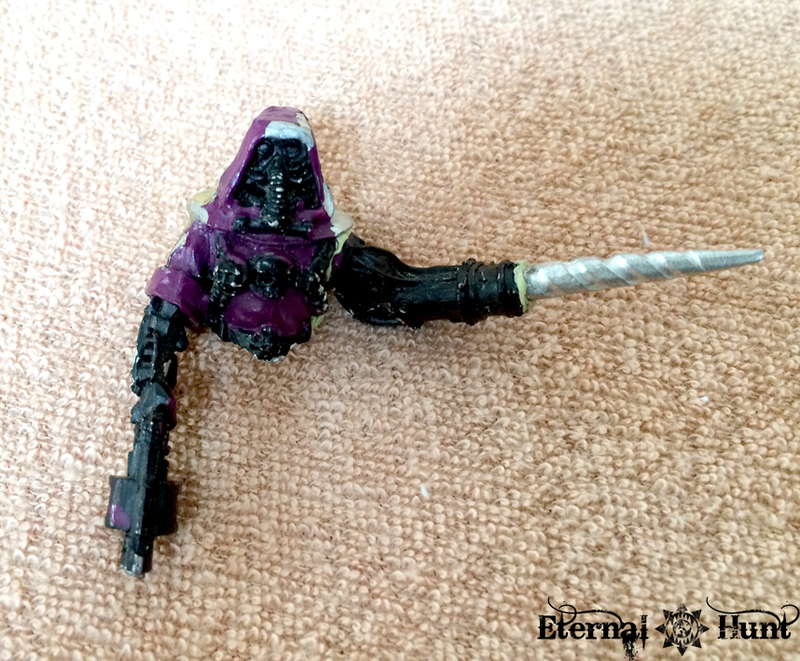 I’m always in awe of how you & other kit bashers always seem to find what looks like the perfect combination of bits. Would be great to read about your process. A more “meta” topic admittedly. Thank you for sharing on such a regular basis though. Really cool. In other (good) news, your deceptively simple fix to that lander finally motivated me to do the same with the gaping hole in the back of mine. Like yourself, I was never happy with that, but I kept thinking about much more complex fixes – so much so that I never got around to doing it! So this is good, since I really wanted to finish this thing this month – or next month if it comes to it – Neglected Scenery counts as Neglected Models! Which parts did you use for the pilot? 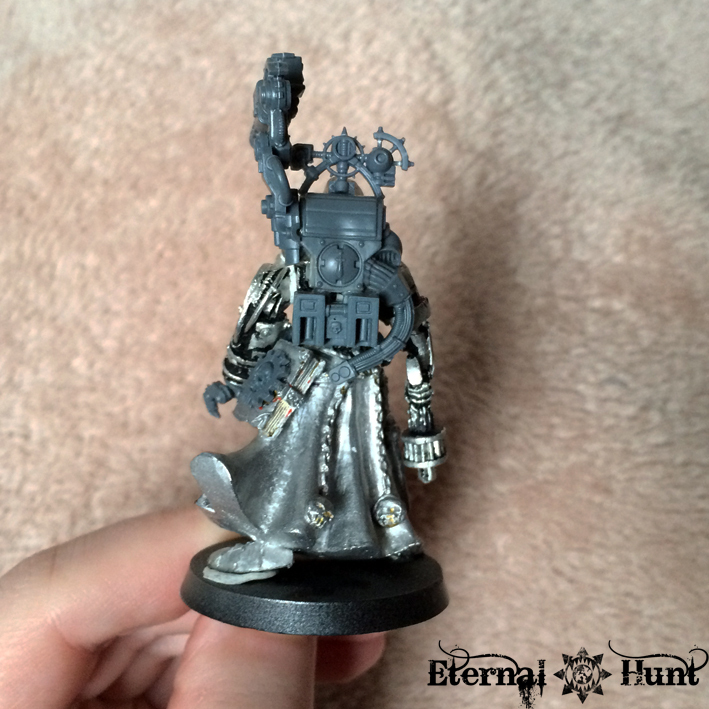 It looks like a Skitarii head, maybe Cadian torso, some sprue as a frame behind him..? 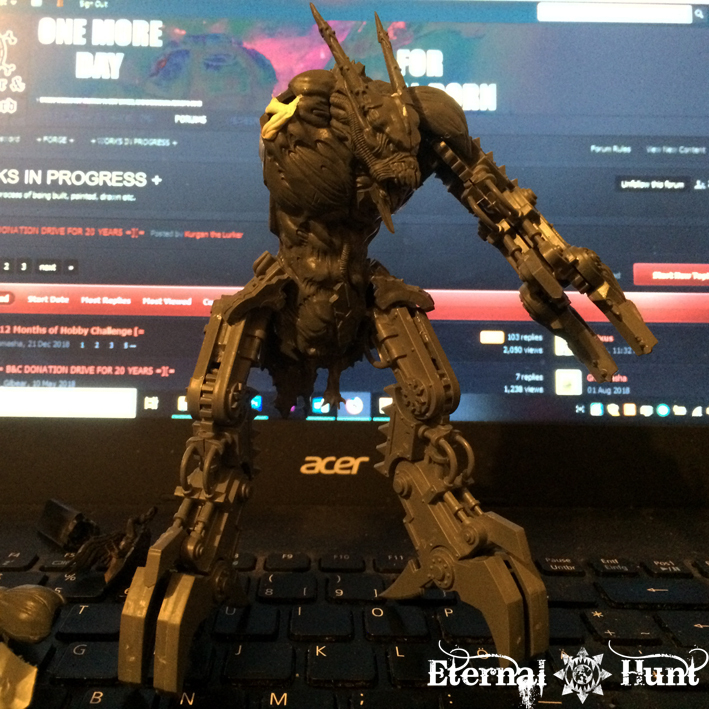 I can’t make out the legs or arms, though.. Not that I need to use the exact same parts, but if I see what worked for you, that makes it easier to chase up similar parts. Funnily enough, it was the same for me at first: I was held back by expecting the conversion to be fairly complicated — the most difficult part is the weird, rounded interior with nary a straight angle in sight. In the end, however, it was much easier than I had abticipated. As for the pilot, you are mostly right on the money: Skitarii head (with a hose feeding into the mask) and legs, the arms and torso came from the bog standard Cadians. 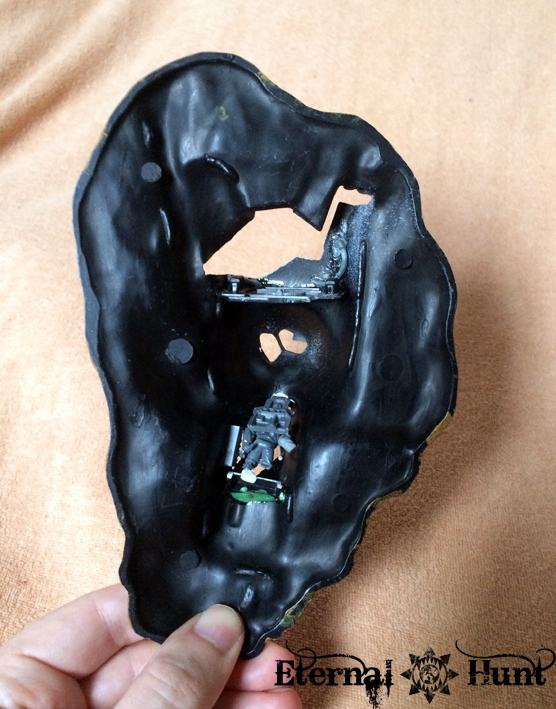 I also added the back rest from a Landspeeder (I think…) to suggest a pilot seat. Hope this helps! I’ve got the plate in there now. I’m going to steal your hose as well, and at some point very soon, when I finish two of the other scenic pieces on the go, I’ll be building a no doubt completely original pilot to go with it. Hopefully by tomorrow for both of them, as good old drying time is a major roadblock on both, but tomorrow will be 38-40 degrees – so I call that a “high-speed drying” day. Martian March is probably a bit too specific to allow a lot of people to participate, but let me check my (pencilled in) notes for the year’s challenges… uh… I had “Squad: March!” (aka completing units) again for March, though I do have “Mechanismo May” in there as well for the very type of thing you suggested not long after. Does that still work for you at all? Like it even more after looking at it for a bit longer. I love the shoes and size of the feet! No sarcasm – don’t know why, but they give him that certain something. Thanks, Florian! I believe it’s “54” because that’s precisely twice as big as the “classic” heroic 28mm standard (even if the actual models tend to be rather different in size).